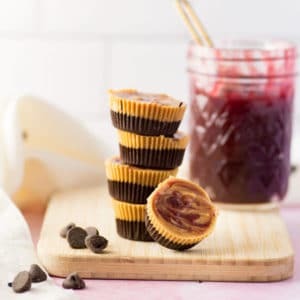 A thick layer of chocolate piled with peanut butter and swirled with raspberry preserves, this healthy peanut butter cups recipe is so easy to make and only require a few simple ingredients! Ready your sweet tooths y’all because it’s about to be a chocolate, peanut butter, and jelly party! Reeses are by far in my top favorite candies, but it’s a real drag they contain so many gross ingredients. 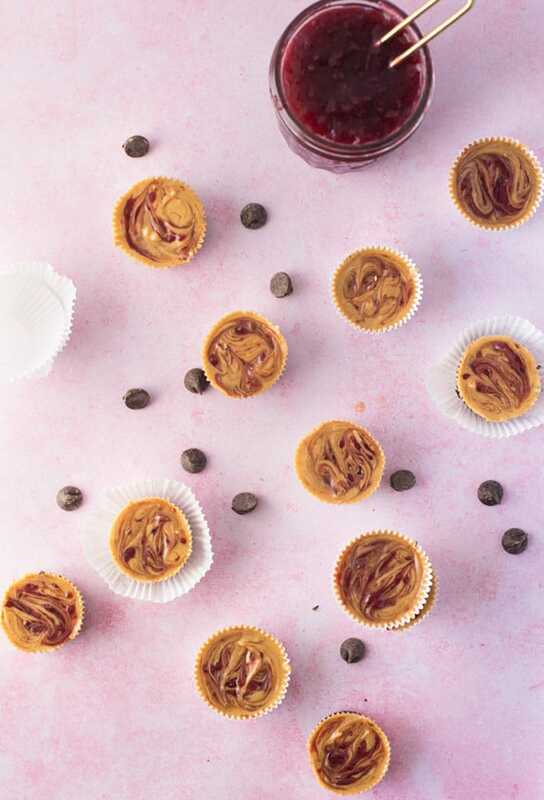 Not only are these homemade peanut butter cups so easy to make, but the addition of a jelly swirl also makes them irresistible! 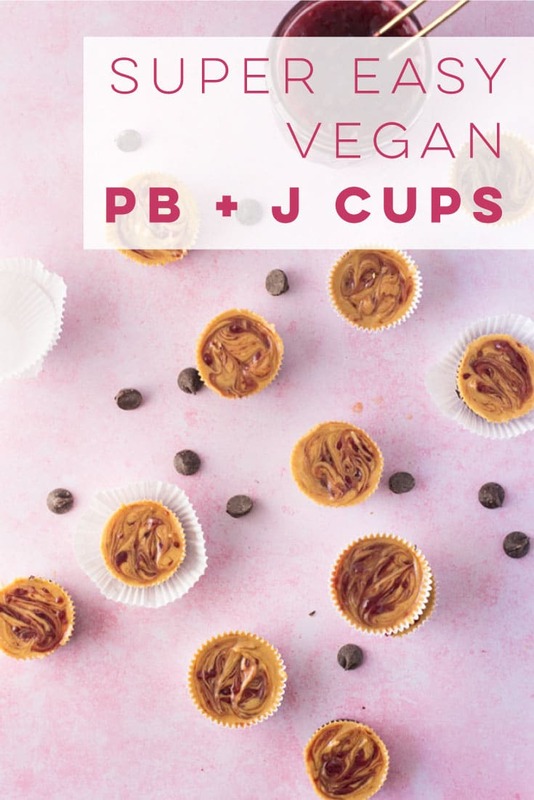 Okay so technically the ingredients are only chocolate, peanut butter, and jelly, HOWEVER, I start with using natural no sugar or salt added peanut butter. This way I have full control over the sweetness level. If you are looking to cut sugar entirely, it can be omitted! The sweetness of the jelly and chocolate will help balance it out. First, you’ll want to melt your chocolate. To do this, you can either use a double boiler or create a makeshift one by filling a larger pot with about an inch of water and placing a slightly smaller pot inside like the picture above. The reason you want to use a double boiler or double pot method is so the chocolate does not burn! Chocolate can be a little diva and without attention and care, it can get disastrous really quick! 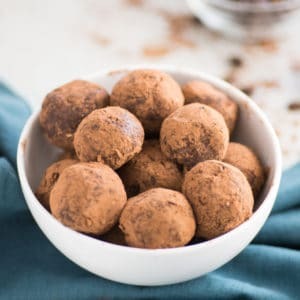 Tip: Ensure the chocolate you use is vegan! I like to use either dark chocolate chips or semi-sweet. Trader Joe’s semi-sweet chocolate chips are vegan. Line a mini cupcake tin with cupcake liners and fill about halfway with the melted chocolate. You can place the tin in the freezer while preparing the peanut butter layer. As I mentioned above, I always buy all natural peanut butter, which means the ONLY ingredients are peanuts! No added oils, salt, or sugars. So if you want to follow suit, check out the ingredients next time you buy peanut butter. With that being said, I add a little bit of sweetener (in this case agave nectar) and salt to this recipe since it is a dessert after all! Remove the tin from the freezer and add the peanut butter layer on top of the chocolate layer. Add a little dollop of jelly and use a toothpick to swirl it! These terms can be used interchangeably, but they are all slightly different! 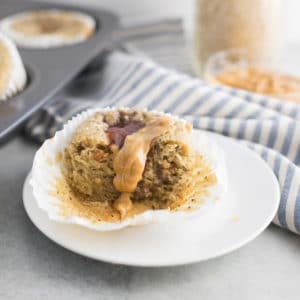 For this recipe, I used raspberry preserves because I like the chunkier texture it provides, but you can use whatever you’d like! Store the homemade peanut butter cups in the freezer for up to 3 months. The real challenge is making them last that long! This recipe is perfect for keeping a little bit-sized sweet on hand and are enjoyed by adults and kids alike! 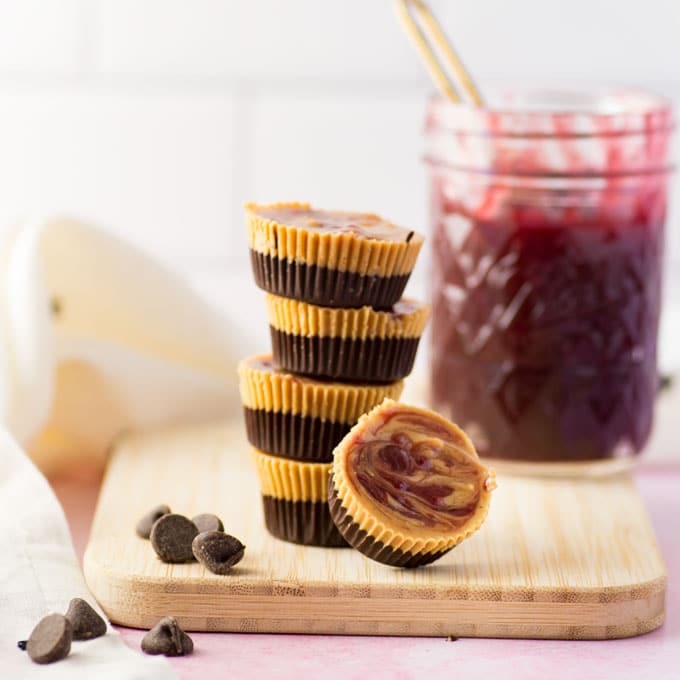 If you tried this healthy homemade peanut butter cup recipe, let me know in the comments below and share a photo using #mindfulavocado. I’d love to hear from you! Want to see more recipes? Let’s get social! CONNECT WITH ME on Facebook, Twitter, Instagram, or Pinterest to see what I’m currently cooking up! 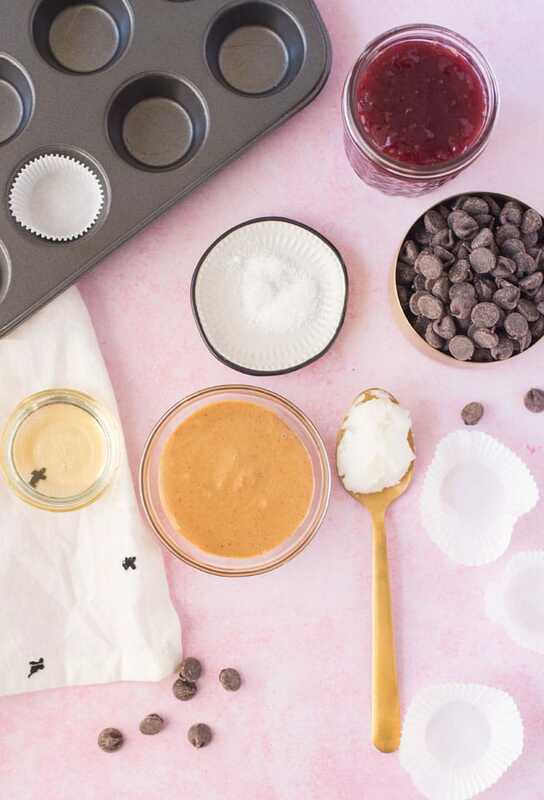 These homemade Reeses cups have a fun twist with the addition of jelly! 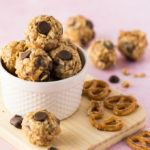 Try the easy recipe for a bite-sized treat that can be enjoyed as a snack or dessert! 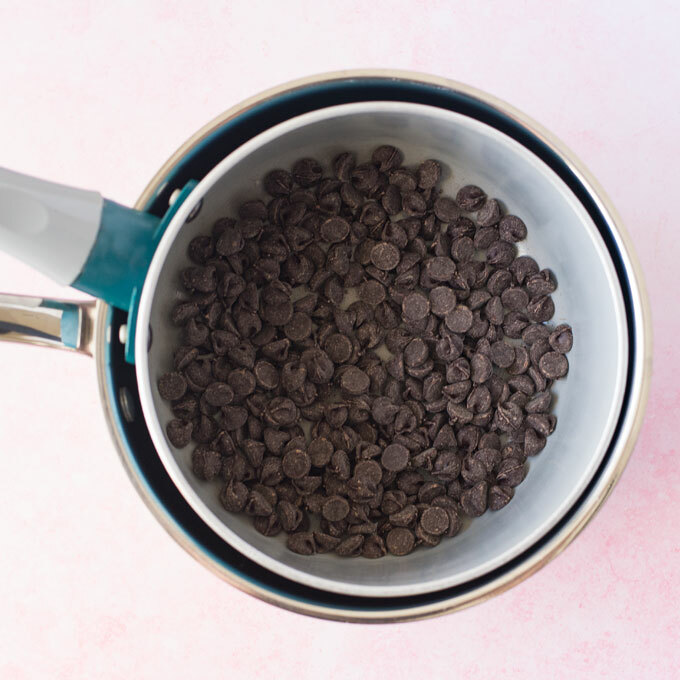 Using a rubber spatula, stir until chocolate chips are completely melted. 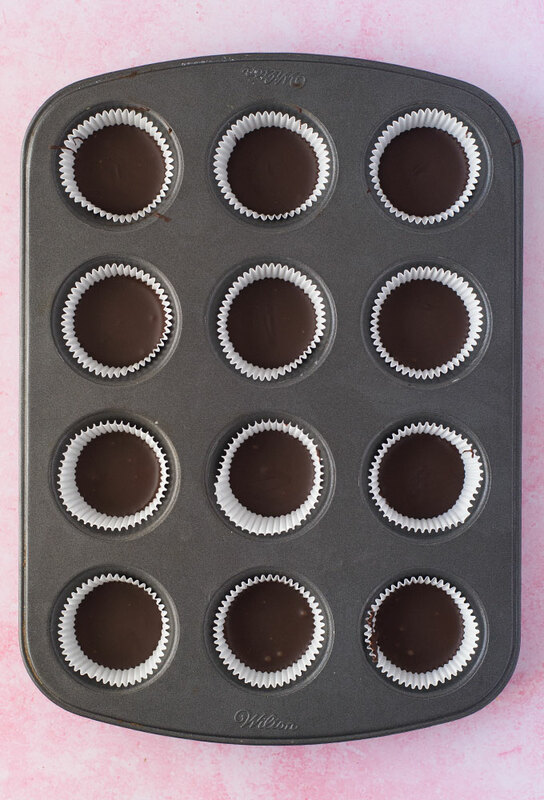 Put the liners in a mini cupcake tin and fill each liner halfway with the melted chocolate. Tap sides of tin lightly to even out chocolate. Place in freezer to set. 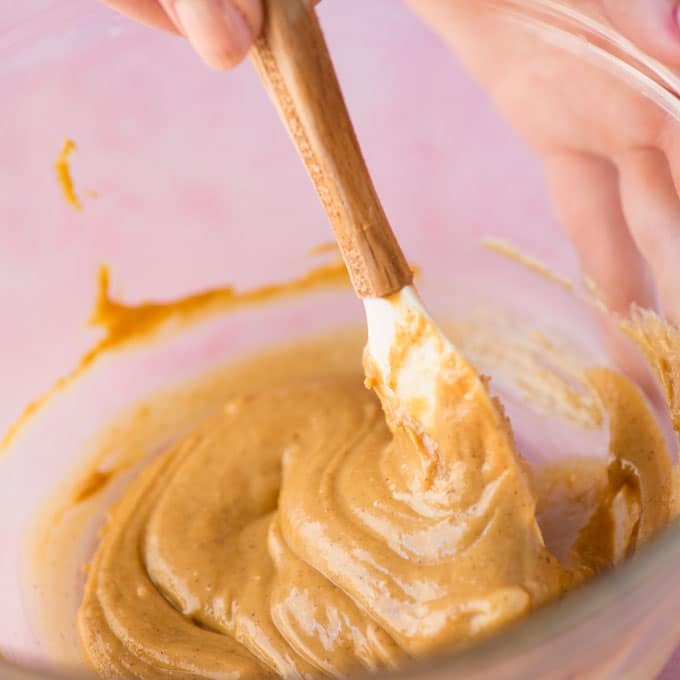 Put peanut butter, agave, salt, and coconut oil into a small mixing bowl and stir well. If peanut butter is stiff, microwave for 15 seconds. Peanut butter should be pourable but not too liquidy. 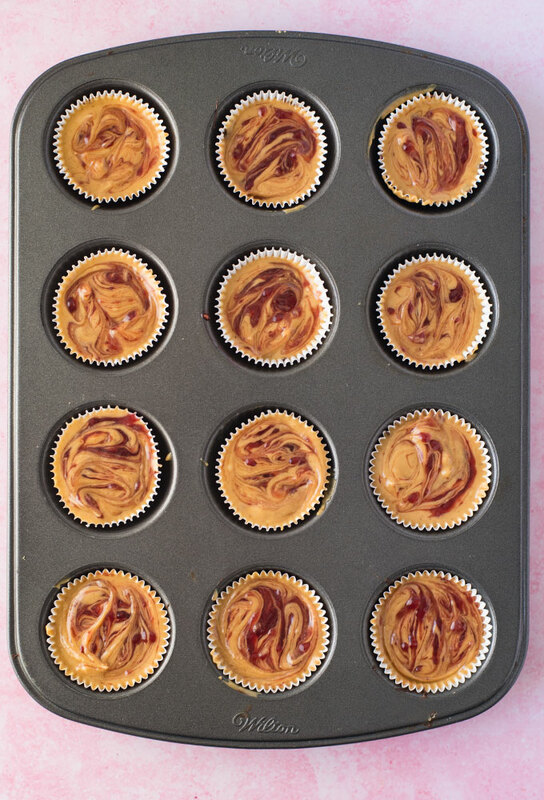 Remove tins from the freezer and fill each liner with the peanut butter mixture. 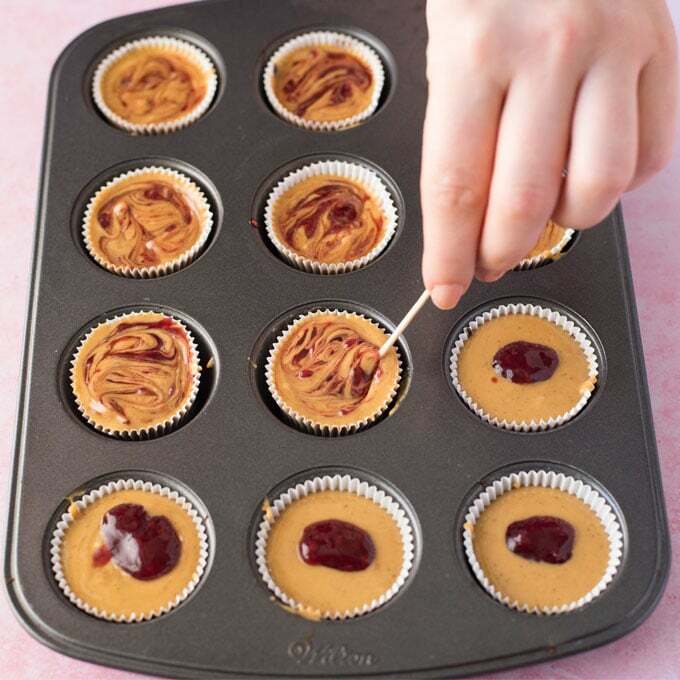 Add 1/4 teaspoon of jam on top of each peanut butter cup. 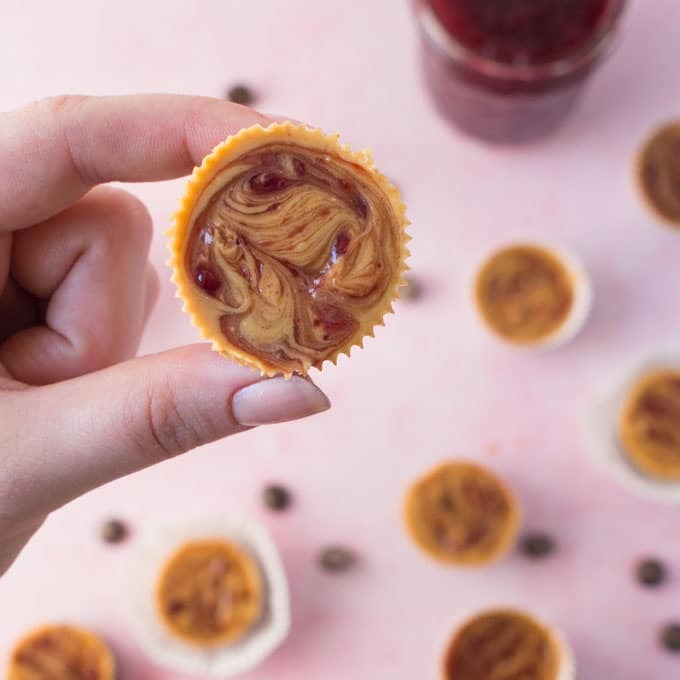 Use a toothpick to swirl the jam into the peanut butter. Place in freezer for at least 10 minutes to fully set. Store peanut butter cups in the freezer. They keep up to 3 months in the freezer or 1 month in the refrigerator.